Chen, X., Wang, R., He, Q., Qin, P., and Du, K*. Fabrication of a super low aspect ratio multi-channel device for rapid and highly efficient Escherichia coli capture and concentration, in preparation. Chen, X., Falzon, L., Zhang, X., Wang, R., and Du, K*. Experimental and theoretical study on the microparticle trapping and release in a deformable nano-sieve channel, submitted. Qin, P., Park, M., Alfson, K., Tamhankar, M., Carrion, R., Patterson, J., Griffiths, A., Yildiz, A., Mathies, R., and Du, K*. Rapid and fully microfluidic Ebola virus detection with CRISPR-Cas13a, ACS Sensors, accepted. DOI: 10.1021/acssensors.9b00239. Du, K., Wathuthanthri, I., Ding, J., and Choi, C. H. (2018). 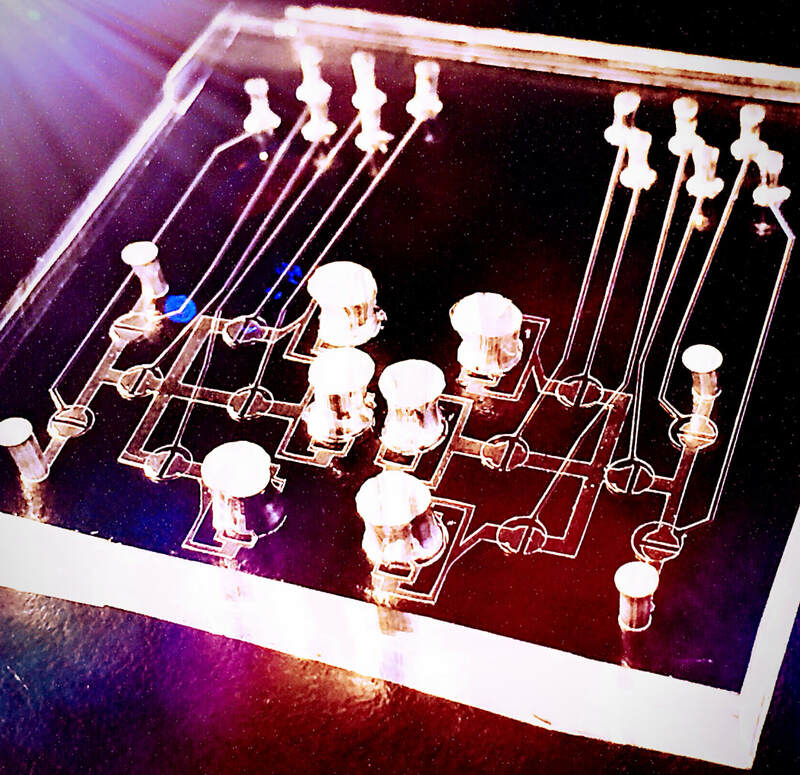 Superhydrophobic waveguide: liquid-core air cladding waveguide platform for optofluidics. Applied Physics Letters, 113, 143701. Du, K., Jiang, Y., Liu, Y., Wathuthanthri, I., and Choi, C. H. (2018). Manipulation of superhydrophobicity of plasma-etched polymer nanostructures. Micromachines, 9, 304. Du, K., Jiang, Y., Huang, P., Ding, J., Gao, T., and Choi, C. H. (2018). Self-formation of polymer nanostructures in plasma etching: mechanisms and applications. 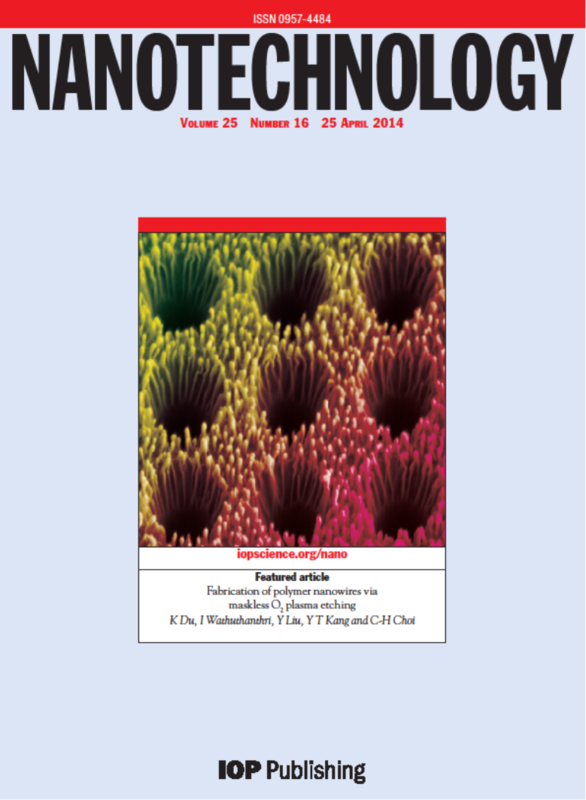 Journal of Micromechanics and Microengineering, 28, 014006. Du, K., Park, M., Griffiths, A., Carrion, R., Patterson, J., Schmidt, H., and Mathies, R. (2017). Microfluidics for the detection of Viral RNA in whole blood samples using digital-coded barcode fluorescence dye and photo-cleavable capture probe. Analytical Chemistry, 89, 12433. Du, K*., Park, M., Ding, J., Hu, H., and Zhang, Z. (2017). 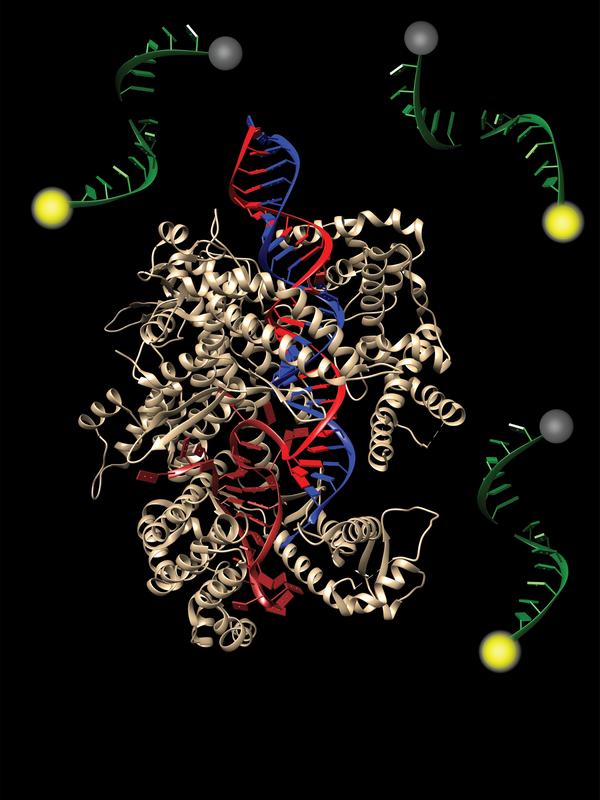 Sub-10 nm patterning with DNA nanostructures: a short perspective. Nanotechnology, 28, 442501. Du, K., Ding, J., Wathuthanthri, I., and Choi, C. H. (2017). 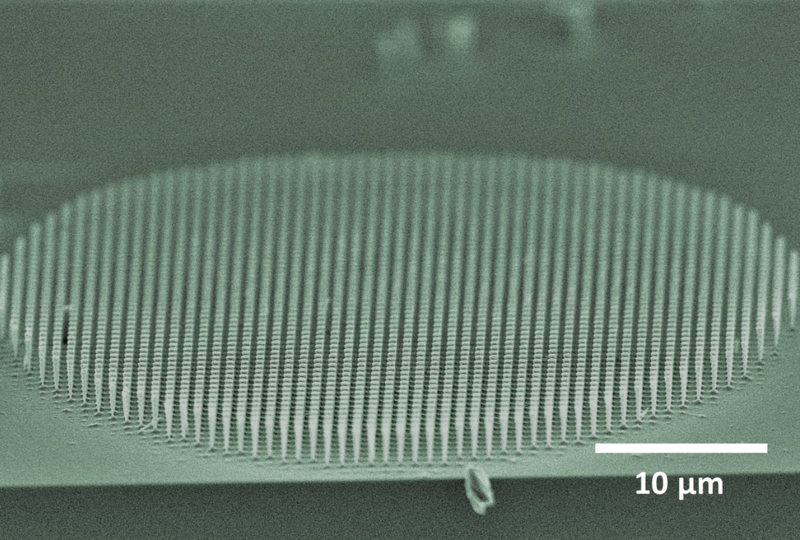 Selective hierarchical patterning of silicon nanostructures via soft stencil lithography. Nanotechnology, 28, 465303. Du, K., Wathuthanthri, I., and Choi, C. H. (2017). The rise of scalable micro/nanopatterning. Micromachines, 8, 275. Jiang, Y., Xu, J., Lee, J., Du, K., Yang, E. H., Moon, W., and Choi, C. H. (2017). Nanotexturing of conjugated polymers via one-step maskless oxygen plasma etching for enhanced tunable wettability. Langmuir, 33, 6885-6894. Chauvin, A., Stephant, N., Du, K., Ding, J., Wathuthanthri, I., Choi, C. H., Tessier, P. Y., and El Mel, A. A. (2017). Large-scale fabrication of porous gold nanowires via laser interference lithography and dealloying of gold-silver nano-alloys. Micromachines, 8, 168. Du, K., Ding, J., Liu, Y., Wathuthanthri. I., and Choi, C. H. (2017). 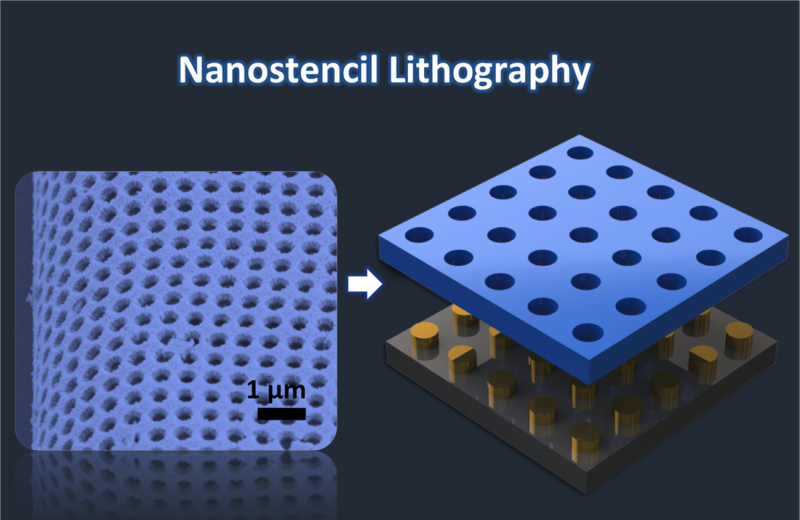 Stencil lithography for scalable micro- and nanomanufacturing. Micromachines, 8, 131. Du, K., Cai, H., Park, M., Wall, T., Stott, M., Alfson, K., Griffiths, A., Carrion, R., Patterson, J., Hawkins, A., Schmidt, H., and Mathies, R. (2017). 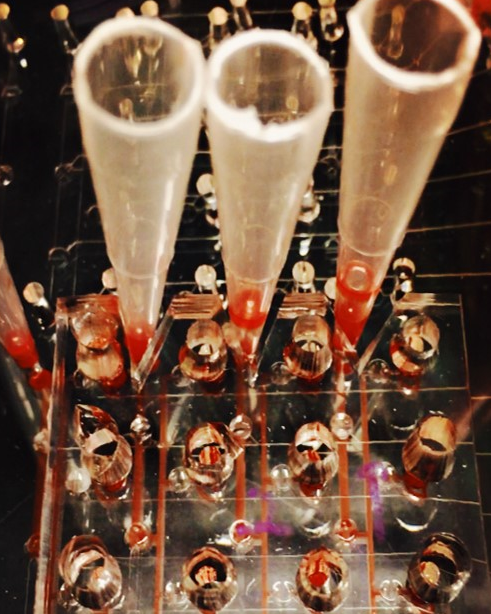 Multiplexed on-chip sample preparation and sensitive detection of Ebola virus. 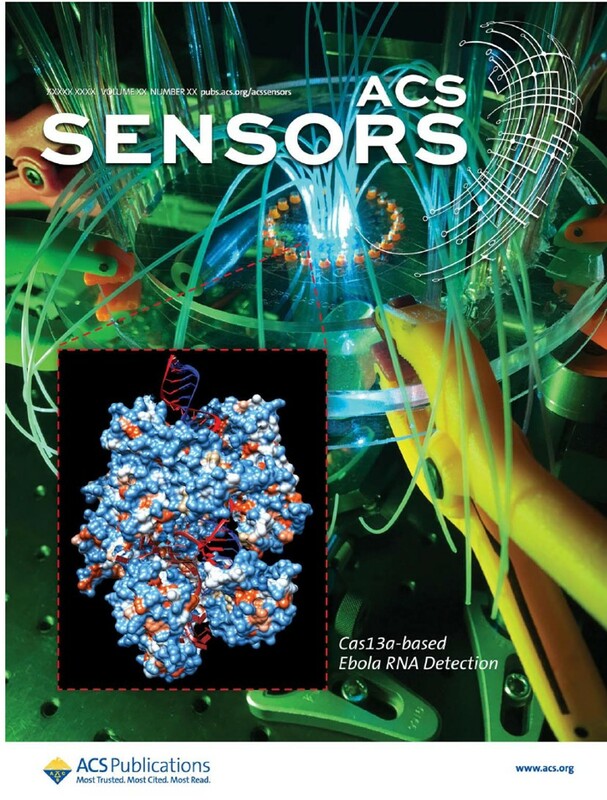 Biosensors and Bioelectronics, 91, 489-496. El Mel, A. A., Chettab, M., Gautron, E., Chauvin, A., Humbert, B., Mevellec, J. Y., Cyril, D., Thiry, D., Stephant, N., Ding, J., Du, K., Choi, C. H., and Tessier, P. Y. (2016). Galvanic Replacement Reaction: A Route to Highly Ordered Bimetallic Nanotubes. The Journal of Physical Chemistry C. 120 (31), 17652-17659. El Mel, A. A. E., Tessier, P. Y., Buffiere, M., Gautron, E., Ding, J., Du, K., Choi, C. H., Konstantinidis, E., Snyders, R., Bittencourt, C., and Molina‐Luna, L. (2016). Controlling the Formation of Nanocavities in Kirkendall Nanoobjects through Sequential Thermal Ex Situ Oxidation and In Situ Reduction Reactions. Small, 12 (21), 2885-2892. Chauvin, A., Delacôte, C., Molina-Luna, L., Duerrschnabel, M., Boujtita, M., Thiry, Du, K., Ding, J., Choi, C. H., Tessier, P. Y., and El Mel, A. A. (2016). 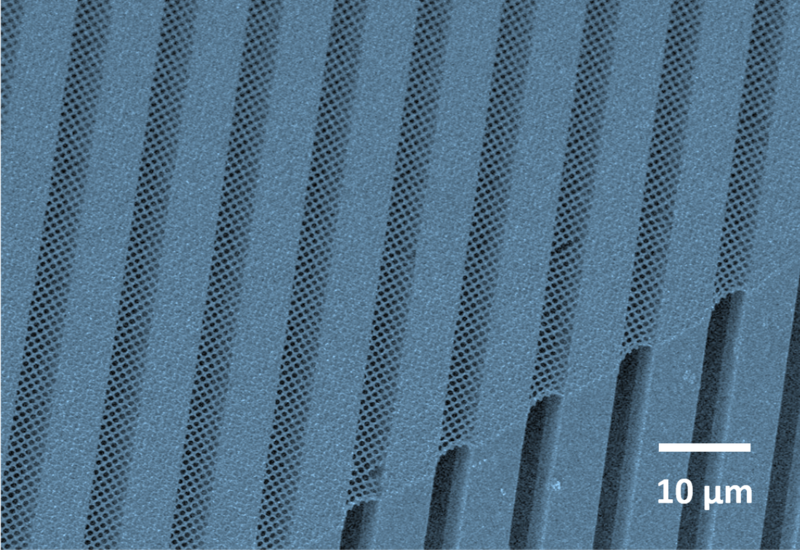 Planar arrays of nanoporous gold nanowires: when electrochemical dealloying meets nanopatterning. ACS Applied Materials & Interfaces, 8 (10), 6611-6620. Thiry, D., Molina-Luna, L., Gautron, E., Stephant, N., Chauvin, A., Du, K., Ding, J., Choi, C. H., Tessier, P.Y., and El Mel, A. A. (2015). The Kirkendall Effect in Binary Alloys: Trapping Gold in Copper Oxide Nanoshells. Chemistry of Materials, 27 (18), 6374-6384. Du, K., Wathuthanthri, I., Liu, Y., Kang, Y. T., and Choi, C. H. (2014). Fabrication of polymer nanowires via maskless O2 plasma etching. Nanotechnology, 25 (16), 165301. Ding, J., Du, K., Wathuthanthri, I., Choi, C. H., Fisher, F. T., and Yang, E. H. (2014). Transfer patterning of large-area graphene nanomesh via holographic lithography and plasma etching. Journal of Vacuum Science & Technology B, 32 (6), 06FF01. El Mel, A. A., Molina-Luna, L., Buffiere, M., Tessier, P. Y., Du, K., Choi, C. H., Kleebe, H. J., Konstantinidis, S., Bittencourt, C., and Snyders, R. (2014). Electron Beam Nanosculpting of Kirkendall Oxide Nanochannels. ACS Nano, 8 (2), 1854-1861. Du, K., Liu, Y., Wathuthanthri, I., and Choi, C. H. (2013). Fabrication of hierarchical nanostructures using free-standing trilayer membrane. Journal of Vacuum Science & Technology B, 31 (6), 06FF04. Wathuthanthri, I., Liu, Y., Du, K., Xu, W., and Choi, C. H. (2013). 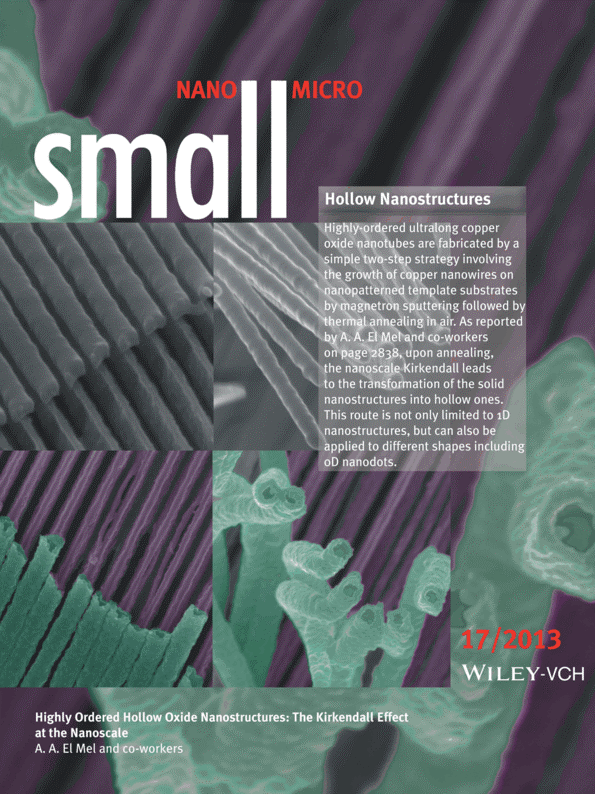 Simple Holographic Patterning for High‐Aspect‐Ratio Three‐Dimensional Nanostructures with Large Coverage Area. Advanced Functional Materials, 23 (5), 608-618. Lu, Y., Sarshar, M. A., Du, K., Chou, T., Choi, C. H., and Sukhishvili, S. A. (2013). Large- amplitude, reversible, pH-triggered wetting transitions enabled by layer-by-layer films. ACS Applied Materials & Interfaces, 5 (23), 12617-12623. Du, K., Wathuthanthri, I., Liu, Y., Xu, W., and Choi, C. H. (2012). Wafer-Scale pattern transfer of metal nanostructures on polydimethylsiloxane (PDMS) substrates via holographic nanopatterns. ACS Applied Materials & Interfaces, 4 (10), 5505-5514. Liu, Y., Du, K., Wathuthanthri, I., and Choi, C. H. (2012). From nanocone to nanodisc: Structural transformation of gold nanoarrays via simple mechanical stresses. Journal of Vacuum Science & Technology B, 30 (6), 06FF10. Du, K., Liu, Y., Wathuthanthri, I., and Choi, C. H. (2012). 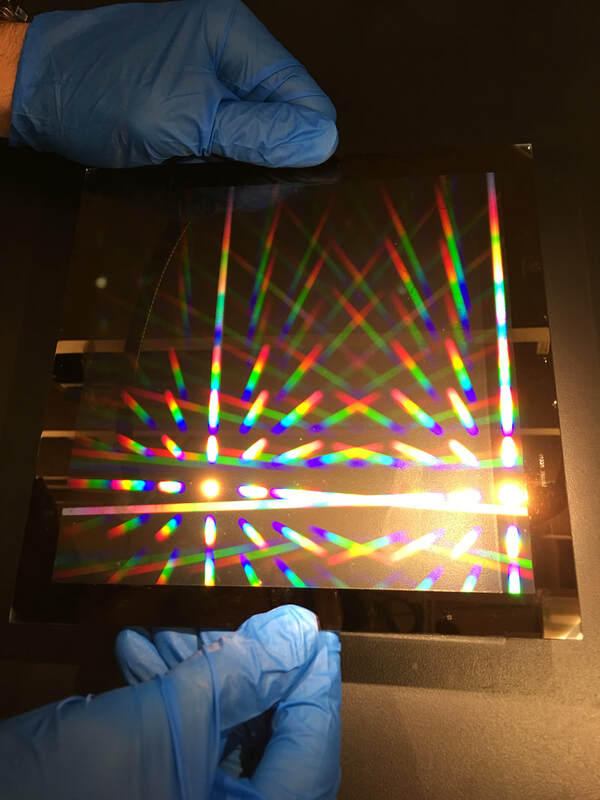 Dual applications of free- standing holographic nanopatterns for lift-off and stencil lithography. Journal of Vacuum Science & Technology B, 30 (6), 06FF04. Du, K., Wathuthanthri, I., Mao, W., Xu, W., and Choi, C. H. (2011). Large-area pattern transfer of metallic nanostructures on glass substrates via interference lithography. Nanotechnology, 22 (28), 285306.